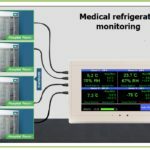 This infographics shows our temperature sensor system for measurement and recording temperature of cold rooms, warehouses, walk in freezers, cold storages etc. These are useful for storages of medicines, vaccines, fruits, vegetables etc. 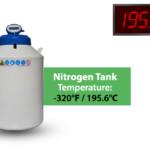 Please read more on our entire range of temperature sensors for cold rooms and freezers supplied in United Arab Emirates. Vacker provides all kinds of temperature sensors for cold rooms and freezers in United Arab Emirates (Dubai, Abudhabi, Sharjah, Al Ain, Ras Al Khaimah & Fujairah) and other countries in the Middle East.